We look forward to welcoming you to what will be a stimulating and insightful panel event. You are warmly invited to continue the conversation and networking after the presentation. Bring your curiosity for the open floor discussion. Each year, more than 30% of world food production is lost. Less than a quarter of that wasted food would be enough to defeat the scourge of hunger, which affects over 10% of the world’s population. Locally, 3.6 million Australians, or 15% of the population, have experienced uncertainty around where their next meal is coming from in the last 12 months. Water consumption, as well as the use of fertilisers and chemical pesticides associated with agricultural production, weighs heavily on the environment. Equally, if food waste were a country, it would be the world’s third largest carbon emitter. In fact, as much as a quarter of the food purchased by Australian households, worth up to $2200 annually, ends up in the bin. In total, food waste is estimated to cost the Australian economy $20 billion annually. In line with UN Sustainable Development Goal 12.3, the Federal Government has released a strategy to halve food waste by 2030. For it to be realised, everyone must have a role. Sarah joined Foodbank Australia in October 2010 and since then has fulfilled a variety of roles as the organisation has grown including general operations, marketing and fundraising. She came to Foodbank from a long career in the food industry focussing on supporting and promoting primary producers and their products. She was General Manager – Professional Services at Horticulture Australia (now Horticulture Innovations Australia), responsible for the team overseeing the delivery of a $70m annual R&D and marketing program for the fresh produce and nursery & garden industries. Genevieve Bateman is the General Manager of Food Sustainability at Food Innovation Australia Ltd (FIAL). Joining FIAL in March this year, Genevieve’s role is to deliver the Implementation Plan for the Australian Government’s National Food Waste Strategy. In addition, she will work across the supply chain to deliver a voluntary committee program that will see Australia deliver on its promise to reduce food waste by 50% by 2030. 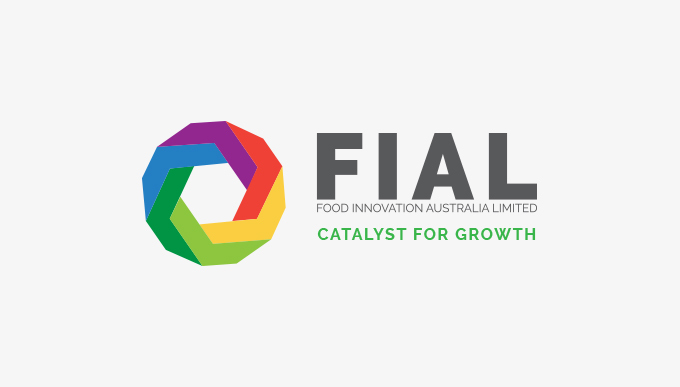 FIAL is a not-for-profit company that promotes collaboration and innovation across the Food and Agribusiness sector on behalf of the federal Government. Genevieve has over 20 years’ experience working across the food and agribusiness sector in public and private sector organisations. Tom is a sustainability professional with a focus on stakeholder engagement and implementing initiatives that deliver social, economic and environmental outcomes. Tom has a passion for food waste and has experience delivering related projects for the public and private sector including early pilots for the NSW EPA’s Love Food Hate Waste program. Joining AccorHotels in 2016, Tom was responsible for the rollout of the Group’s updated Planet 21, sustainable development strategy to 200 hotels nationally. The strategy focuses on six strategic pillars including healthy sustainable food and a commitment to cut food waste by 30% by 2020. In 2017 AccorHotels received the prestigious Banksia Foundation Large Business Sustainable Leadership Award, recognising the actions of the Group and notable work on food waste. Most recently Tom has taken on a secondment as project manager for the integration of Mantra Group. Mark, is the General Manager of Veolia’s Waste Infrastructure business in NSW, with 25 years experience in the Waste Management Industry. He is responsible for Veolia’s network of recycling, transfer, treatment and disposal facilities, including the Woodlawn Eco-project and EarthPower, together with Veolia’s new capital investments in Rail Transfer at Banksmeadow and Mechanical Biological Treatment at Woodlawn. Previous career experience includes senior operational roles in the UK, managing Local Council Integrated Waste Management Service contracts, incorporating Energy from Waste, Materials Recycling, Organics and Waste Transfer infrastructure, Transport Logistics and Municipal Waste Collection Services. In business development role Mark was also an integral part of Veolia’s successful development of the Integrated Waste Management concept and application of waste management PFI/PPP to UK Local Government. Mike is the Managing Director of MRA Consulting Group. He was a senior executive in the waste industry with 25 years of experience in Visy, SITA and Waste Service NSW. He was also a Director of Liverpool Council and senior adviser to the Mayor of Brisbane. Mike was a Sessional Commissioner of the NSW Land and Environment Court and a member of the Victorian Ministerial Advisory Council on waste governance. MRA Consulting Group advises governments and business on waste and recycling. They specialise in economics, planning, education and auditing. MRA was voted the best small consultancy in Australia in 2013, 14 ,15 and 16. Mike was Vice President of the Waste Management Association of Australia and NSW President. He was a Director of the Western Sydney Regional Waste Board. Mike's goal is to help make waste management economically rational and environmentally sustainable.